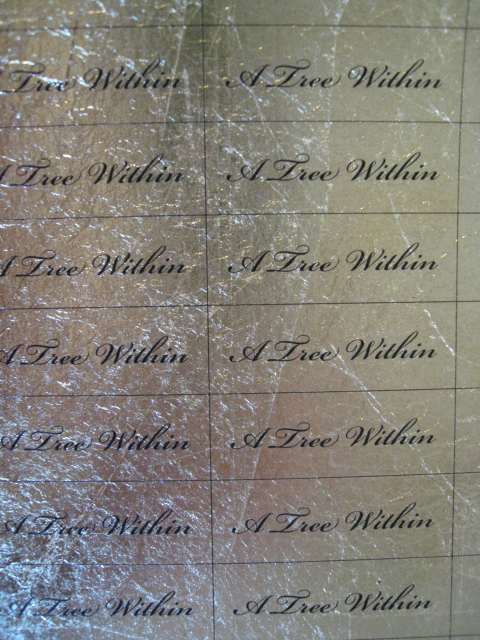 While not quite as refined as gold stamped leather labels, labels printed on laser or ink jet printers can be attractive and provide an economical alternative. Laser and ink jet both provide alternatives. 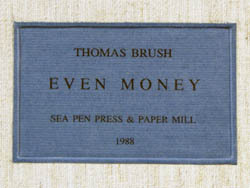 The examples below are examples of creative methods for creating a wide range of functional and unique labels using the laser printer. Laser: Light fast; do not bleed; can be used with some colored/metallic foils designed for laser printers. 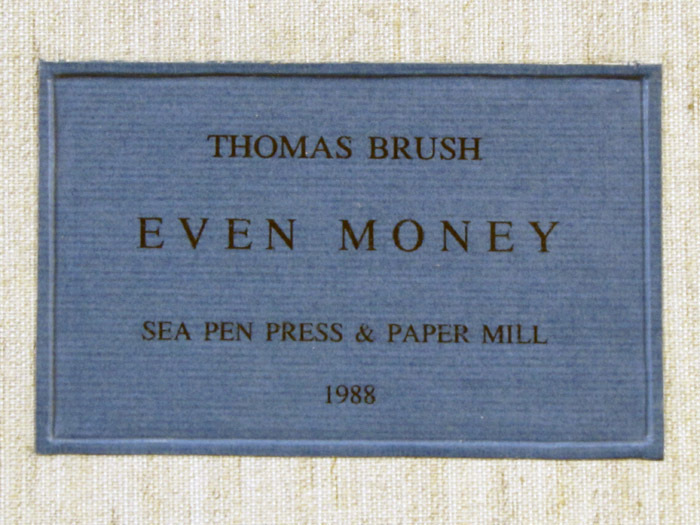 Laser: Can rub off, especially on textured papers. Ink jet: Can fade; can bleed from moisture in adhesives. Below is a selection of laser printed labels. Labels have been printed on a variety of papers and fixed with Klucel G in ethanol / Cellugel. Some have also had a coating of SC6000 acrylic paste wax also rubbed on for additional protection. 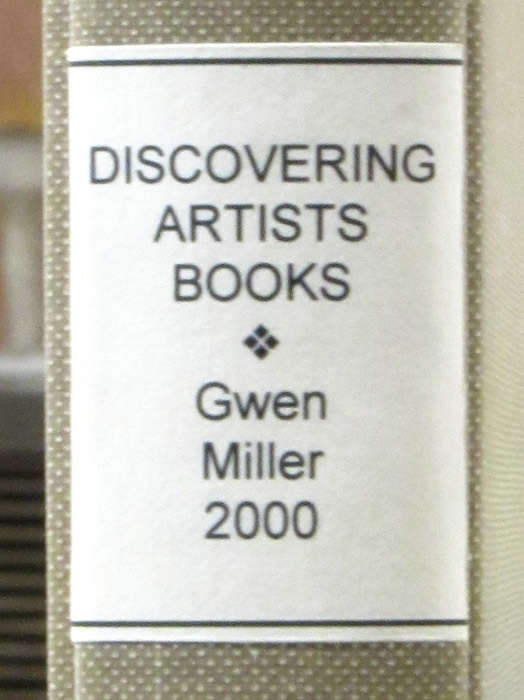 Label printed on one paper, then mounted to another, trimmed to create border before attaching to spine of box. 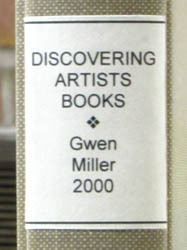 Label printed on one paper, then mounted to pastepaper (used on binding), trimmed to create border before attaching to spine of box. 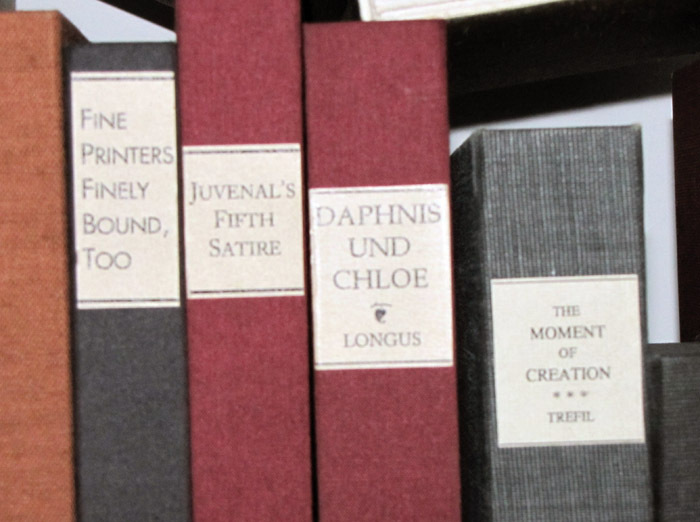 Printed on paper and glued to spine. 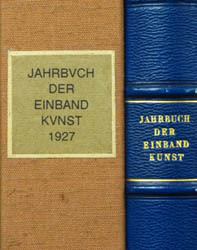 Label printed on paper and then recessed into cover. In this case, the label is placed where it needs to be with a weight on top to keep from shifting. Then mask off AROUND the label with tape. Next going in a few millimeters, or what is desired, cut through the cloth/paper covering. Peel out the covering, glue out the label and put in place using a folder to accentuate the step down and then rub down the border on the covering material. See Bill Minter's article in The Bonefolder, Volume 3, Number 1 for instructions on slightly different way of recessing labels. 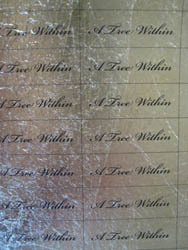 (Plaid Enterprises) were rubbed on the paper until the transparent gold color was arrived at. 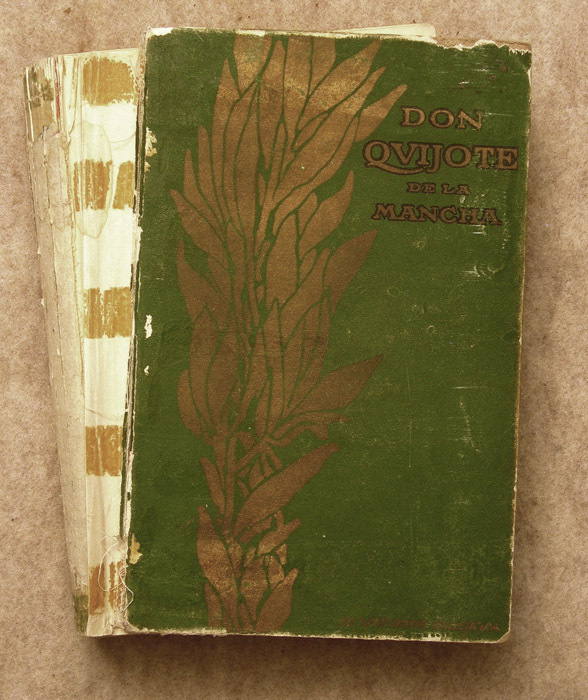 Since it was difficult to control the gold color precisely, the entire page was "painted." Microsoft Publisher was used to produce a full page of the title panels that was printed on an 8.5 x 11 in. 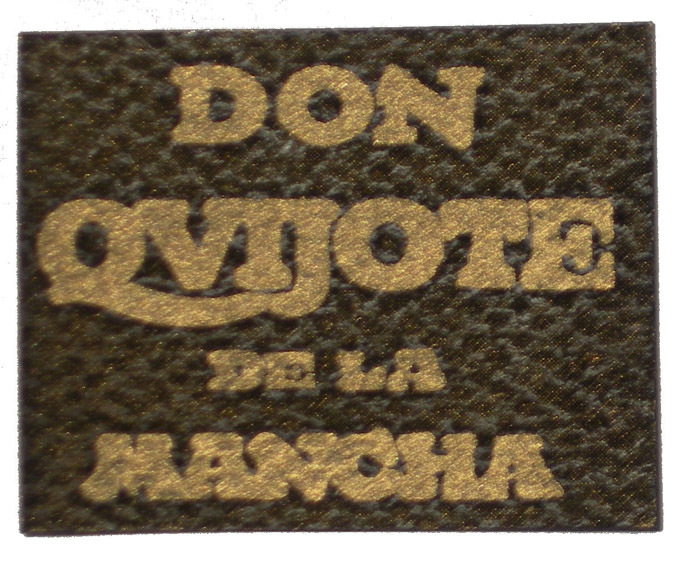 sheet of the paper colored with the gold paint. The result was gold-ish text on a dark green background in a black field. Note that the spine was lost, so I had to extract the text from the front cover to produce the spine label. 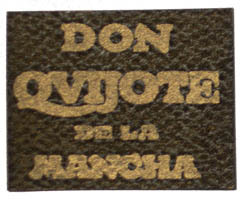 The intensity of the gold color depended on density of metallic gold paint used to coat the colored paper on which the inversed laser image was printed with a laser printer. though as the metal isn't porous enough to let the ink (dyes) permeate. 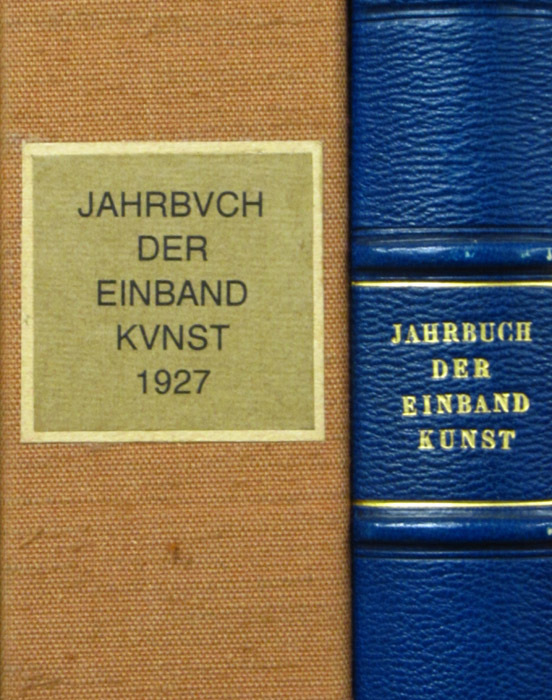 Images below depict a label sheet for the edition, with the second an image of the front cover of the book using the label. 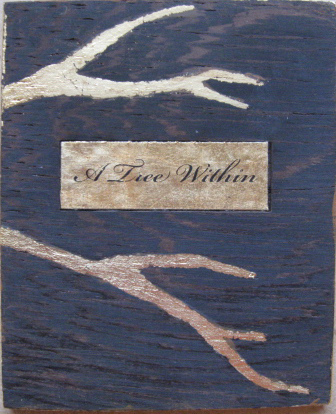 This particular one is composition leaf rather than gold leaf and has been overcoated with a mixture of cold wax medium mixed with burnt sienna pigment. This is done both to tone down the brassiness of composition leaf and to protect the label from oxidizing and abrasion. It may not be obvious in the photo but the label is recessed into the cover so is less subject to abrasion than were it resting on top.